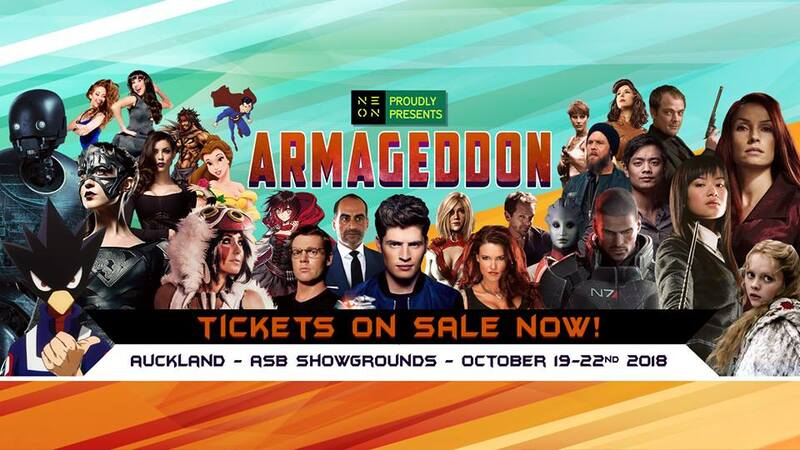 It’s one of our favourite events of the year, so we’re super stoked to again be able to offer our lovely KUWNZ fans the chance to win one of four double passes to this crazy, cosplay nerd heaven that is Auckland Armageddon taking place at ASB Showgrounds, 19 – 22 October. Heading into it’s twenty-third year, the go-to geek event of the year will host a massive range of national and international exhibitors from gaming giants to local artists. General entry tickets and VIP passes are on sale NOW from iTicket. HANNAH and HILLY HINDI of The Hillywood Show! Wrestling fans will be excited to hear WWE legend AMY ‘LITA’ DUMAS is attending as well an impressive line-up of voice actors including; JOSH GRELLE (Attack on Titan, Yuri on Ice), GREGG BERGER (Garfield, Transformers), SARAH CRAVENS (Injustice 2, One Piece), MARK MEER andBELINDA CORNISH (Mass Effect) and the stars of Rooster Teeth’s RWBY,LINDSAY JONES, BARBARA DUNKELMAN, KARA EBERLE, ARRYN ZECH! International Cosplay sensations JESSICA NIGRI, LEANNA VAMP and RIKI ‘RIDDLE’ LECOTEY will be attending as will international comic artists and creators, EDUARDO RISSO, JEFF JOHNSON, PEACH MOMOKO and STEPHEN B. JONES. So,’ how to I win?’ we hear you cry? Well, there are three ways to enter – either via keepingupwithnz.com or the keepingupwithnz Facebook or Instagram. Which confirmed guest of Auckland Armageddon appeared in Rogue One? 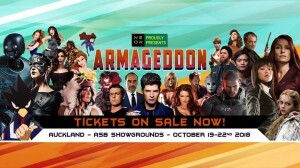 Each prize is one double pass (GA tickets) to attend Auckland Armageddon at ASB Showgrounds for one day on 19 – 22 October.